There has been a lot in the media during this time of the Sede Vacante. (Empty Seat – i.e we are between Popes) There’s stuff about the upcoming conclave, Benedict’s retirement, and who could be the new Pope. There has also been a fair bit of conversation around it, some in places I wouldn’t have expected. now I know that the Vatican is landlocked, but I reckon those in the know there have been fishing…. I was in the car driving to a meeting with a friend. She’s younger than I am, but our kids are the same age, and we’re studying together so we spend a fair bit of time in each other’s company. I don’t think she has any particular religious affiliation, she’s certainly not mentioned a denominational leaning. Anyway, she introduced the topic of the Pope’s resignation and my thoughts on it all. I was honestly surprised that during the last conclave she and some friends watched the news avidly – to the extent of taking time off school to stay at home and watch TV. This seems to be one of those great moments for conversation. It’s not every day a Pope resigns. How are we taking this unique opportunity to have faith conversations with young people, or even with others who know we are catholic and want our opinion? How are we dealing with the questions that come up, and turning them from a factual answer to an invitation, an opportunity for evangelisation? I’m not a person who goes fishing. I’d prefer to sit by the water without dangling a rod, but the image of being a fisherman is part of the gospels and it does make sense. However I do know that there are a couple of methods. One is casting out into the deep and sitting quietly, not moving and waiting for a bite. Another seems to involve using an eye-catching fly and flicking it about – short sharp flicky movements and catching it that way. Both are useful depending on the fish you want to catch. So, with our evangelisation, I think we need to master both methods. There is the fly fishing method of being up front and grabbing the attention, looking for the nibble so that we can make an impact. Then there is the deep slow waiting- the need for developing relationships so that people can see the gospel lived in our lives and in our community. At the moment, there is a lot going on – Media headlines, Facebook and twitter feeds are full of things Catholic – from great cartoons to serious explanations. It seems there is a lot of fly fishing going on. And I wonder a little if the delay in the conclave is to extend this opportunity for “good press” with the media headlines. However, we are also in Lent. There is a lot of the deeper conversation going on, in Lenten groups, Lectio Divina and in preparation for Easter. There is the need to take the time to stop, think and pray. We need to go deep – both with our prayer and with our relationships. The Cardinals need to go deep in their discernment. 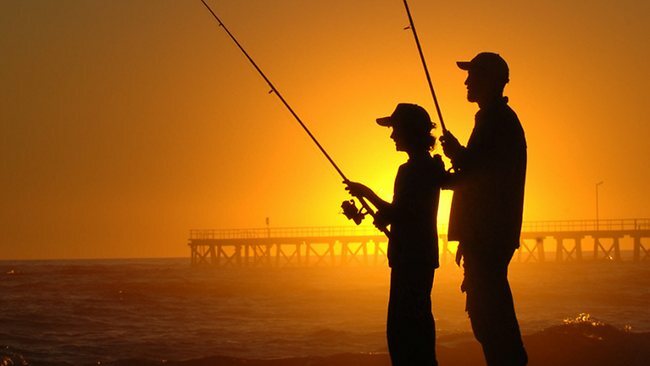 As we develop relationships with people, and we all know that evangelisation is about relationships, I think this fishing analogy can work for us too. We need to develop skills in both fly fishing and deep water fishing. And I pray our next pope is gifted in both….